Our Products And Our Sevices! traditional philosophies in proven methods of installation. We serve all of Simcoe County, and surrounding areas. Call today for your FREE estimate! WE STAND BEHIND OUR NAME, OUR PRODUCTS AND OUR SERVICES. The team at BC ROOFING & RENOVATIONS takes pride in their professional workmanship, so at the end of the day you can be confident that your project will stand out from the rest! The team at BC ROOFING & RENOVATIONS INC. takes pride in their professional workmanship, so at the end of the day you can be confident that you have received a quality installation and that your project will stand out from the rest! We continually strive to better all aspects of our business; through the introduction of new products and techniques, as well as maintaining traditional philosophies in proven methods of installation. We provide professional roofing services to Midland, Penetanguishene, Victoria Harbour, Coldwater, Port Severn, Orillia, Barrie, Elmvale,Tiny, Hillsdale, Wasaga Beach, Collingwood, Georgian Bay (land/water access) as well as surrounding areas. A wonderful roofing experience is possible...call today for your FREE estimate! BC Roofing & Renovations Inc. Copyright 2012 All Rights Reserved. Financing Now Available (O.A.C) Call Today For More Details! 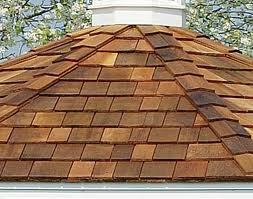 Our vision is to become the most reputable roofing company in Ontario. Over the years we have gained the respect of hundreds of satisfied customers as well as the many builders that we work with on a regular basis. We would like to earn your business today. From estimate to completion...we know you'll be satisfied too! We provide 24HR emergencey service to fix or tarp your leaky roof until further action can be taken. BC ROOFING & RENOVATIONS INC. is a "Shingle Master" Credentialed company; which means that all our employees have read, understood and have been tested on the "Shingle Applicator's Manual (eleventh edition). This manual talks about proper installation methods that should be performed so that your new roofing system will comply with the manufacturers warranty standards. Product knowledge is another topic covered as well as a code of ethics to follow while providing service to a client. All of our installers are Master Shingle Applicators. This shows our commitment to professionalism and also assures you that your new roofing system is being installed by knowledgeable and competent staff. While you may not want to ever think about replacing your roof but as sure as the sky is blue....the time will come, But don’t dread this time in your life, because with the right contractor the experience can be quite pleasant. The right roofing contractor will take into consideration many things while preparing a proposal for the customer ie: ventilation, required underlayments, flashing details, the recommended shingle and any problem areas on the roof. 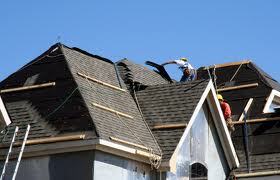 The roofing contractor will also give an estimated time to complete the job along with an approximate start date. With a good roofing contractor you can receive impeccable service and a flawless installation and every time your pull in your driveway after a long work day you can look up at your beautiful new roof and admire the hard earned money well spent, knowing you'll be free from roof related problems for many years to come. 2. Does the roofing company carry valid liability insurance coverage? and eligible for a clearance certificate? 4. Do the company employees have (FALL ARREST) training with certificates? 5. Has at least one employee (the supervisor) on the installation crew taken a CPR course? in accordance with manufacturers specs, and therefore can offer extended warranties on the entire roofing system via the manufacturer. 8. THE WORKMANSHIP GUARANTEE... The company should be able to stand behind their work for a specified period of time. 9. Look forward to seeing a proper proposal from the company that outlines the scope of the work. 10.The lowest quote is not always the best one...it comes back to that old saying "you get what you pay for"